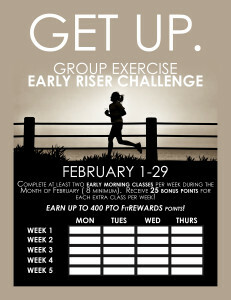 Complete at least two early morning classes per week during the month of February (8 minimum). 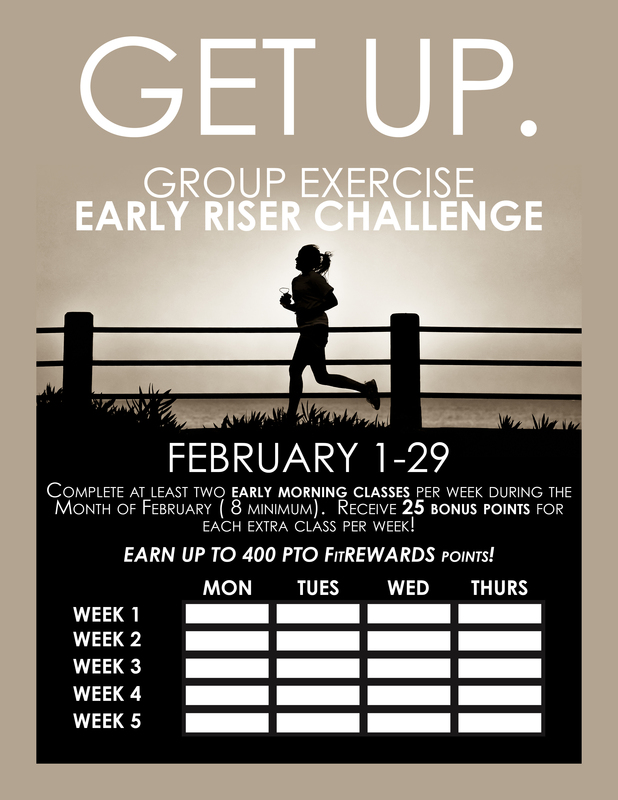 Receive 25 bonus points for each extra class per week! Earn up to 400 PTOFitRewards! Download the worksheet here to begin the challenge!